Joe Shirjang, Kijiji Canada Western Canada sales manager, autos. Photo courtesy of company. Kijiji Canada has brought aboard a new sales manager who is returning to the company to steer the growth of its autos vertical in Western Canada. The company has announced that Joe Shirjang, who brings well over a dozen years of both retail and vendor channel experience, is coming back to the company to serve as Western Canada sales manager, autos. Shirjang was an outside territory manager for Alberta and Saskatchewan at Kijiji, prior to holding his most recent position at autoTRADER.ca as a regional sales manager. “Joe was the clear choice for us, largely due to his autos experience and his proven track record in leading high-performance sales teams,” Kijiji head of sales, autos Will Harris said in a news release announcing Shirjang’s return. “We’re thrilled to welcome Joe back, where he will lead our team’s growth plans and extend our value-based services to dealers out West. “Our customers and the entire Western sales team will benefit from Joe’s leadership experience, and we’re looking forward to him making a positive impact right out of the gate,” said Harris. Meanwhile, in his role as head of Kijiji’s Western sales team, Shirjang will be in charge of the continued growth of Kijiji's autos vertical in Western Canada. 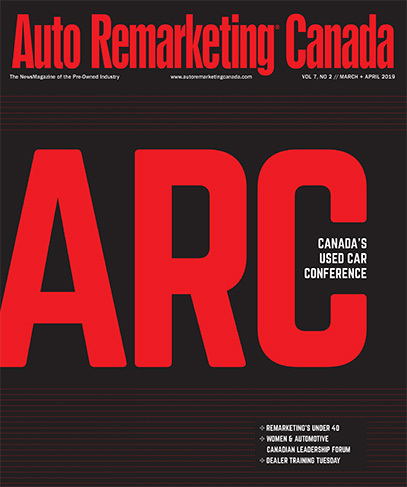 “As Kijiji continues to invest in the autos vertical, Joe will bring a renewed focus to relationship management and dealer engagement on the platform,” the company said. According to Kijiji, his new position will require him to lend strategic support and transmit digital marketing best practices to new and existing dealership customers.